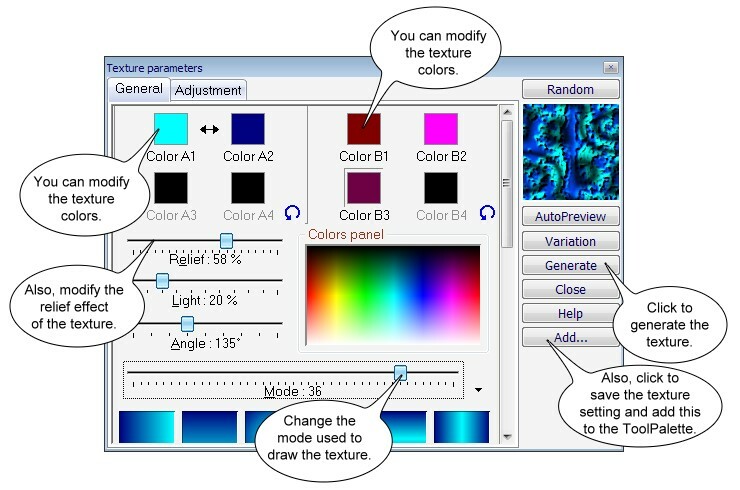 The parameters dialog box you allow to modify the colors and the forms of the textures. 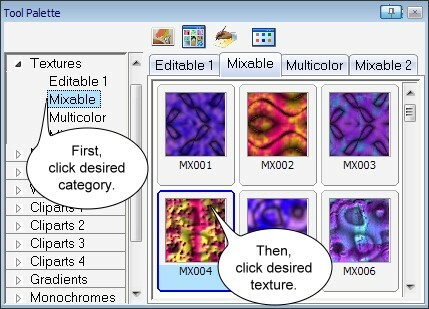 Now, click the Parameters button on the ToolPalette. 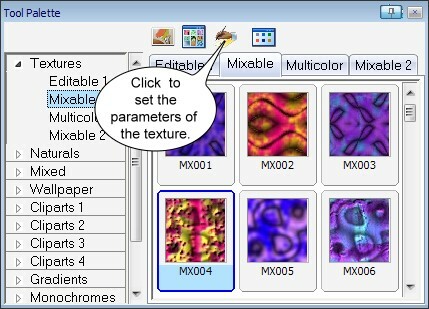 In the Parameters dialog box, click on General tab and modify the texture colors and another effects. 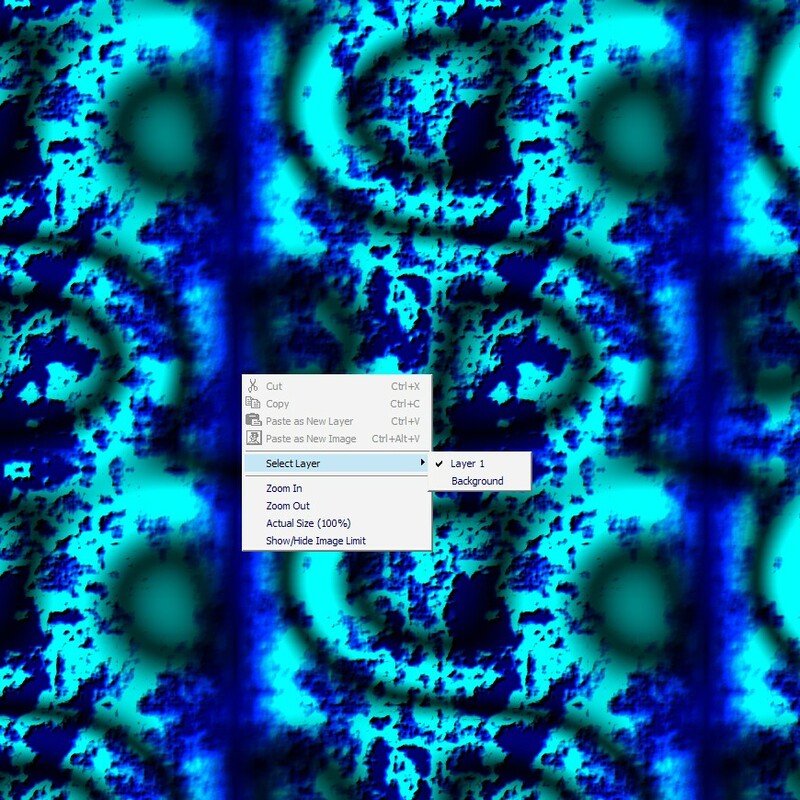 After the texture is generated, click to View Texture Tiled in the main menu. 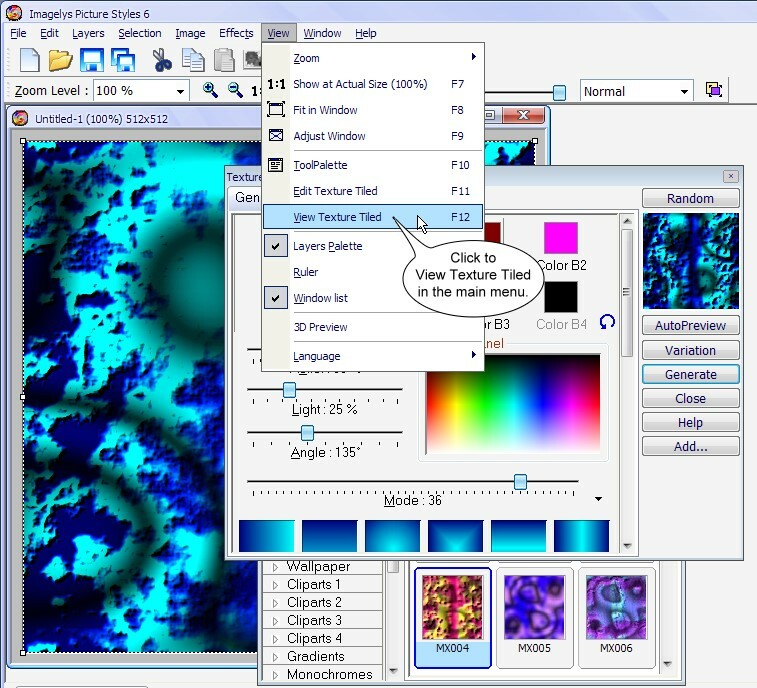 The texture is showed in tiled view. You can also right click to choose a function in the popup menu. Press F12 or Esc key to return at normal view.